In the weeks after Jamal Khashoggi’s murder, five African nations made statements in support of Saudi Arabia. 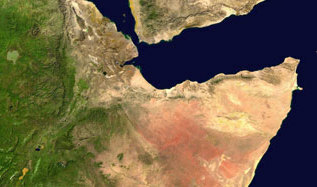 The statements are an example of how foreign aid may influence diplomatic decisions, particularly in the horn of Africa. 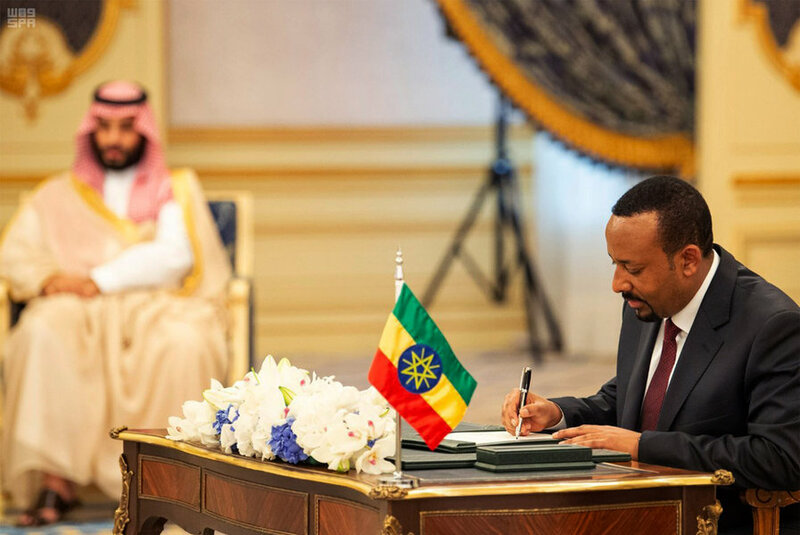 Ethiopian Prime Minister Abiy Ahmed (r.) signs a Peace Accord with Eritrea as Saudi Crown Prince Mohammed bin Salman looks on in Jiddah, Saudi Arabia on Sept. 16. As more details are revealed about the killing of Saudi journalist Jamal Khashoggi, several African nations have made statements in support of the kingdom. Saudi Press Agency/AP/File. Addis Ababa – As shocking details in the killing of Saudi journalist Jamal Khashoggi approached a crescendo, the war-torn nation of South Sudan this week issued a rare foreign ministry statement. It praised the Saudi position to defuse the crisis as “honorable” and assured the kingdom of its commitment to strong relations. Impoverished South Sudan isn’t the only African nation to support the Saudis at a time when much of the world is shying away. Whether pressured to speak up after receiving assistance or making a diplomatic play for more, a few countries have bucked the global trend while others appear to waver in the face of billions of dollars in Saudi funding. Their statements reveal the balancing act many African countries, notably in the Horn of Africa, are making these days as more of the world’s powers see the continent as a strategic investment. On Tuesday, Ethiopia’s deputy prime minister sat next to Saudi Crown Prince Mohammed bin Salman, exchanging a warm handshake, during the Saudi investment forum that many have shunned over the Khashoggi affair. It was a highly visible moment for one of the world’s fastest-growing economies and a close United States security partner. Some Ethiopians were furious. Others said their country needs a rich ally these days. Somalia, which struggles to maintain a neutral stance amid regional powers including Turkey and Gulf nations, is another example. After its prime minister visited Saudi Arabia, the foreign ministry last week issued a statement expressing “full solidarity” with the kingdom against “all those who seek to undermine its role.” An uproar among Somalis at home and around the world followed. The government backed off, saying the statement was simply general support. Even South Africa, often praised for its outspoken support for human rights after the long fight to defeat apartheid, almost saw its state security minister attend the Saudi forum before President Cyril Ramaphosa ordered the trip to be cancelled, the Sunday Times newspaper reported. But troubled South Sudan’s support of the kingdom might be the biggest surprise. Critics said otherwise, suggesting that the government is looking elsewhere for friends as ties with top humanitarian donor United States turn chilly over South Sudan’s failure to end a devastating civil war. The US successfully led the United Nations Security Council to impose an arms embargo earlier this year and has threatened to withdraw millions in aid. “Why should the US give development assistance to governments that will squander it or will put it in its pockets?” the top US diplomat for Africa, Tibor Nagy, told reporters on Tuesday in response to a question about the country. This story was reported by The Associated Press. Mr. Salem reported from in Nouakchott, Mauritania. Associated Press writers Abdi Guled in Nairobi, Kenya and Krista Mahr in Johannesburg contributed.